Jumpsuits are the best when it comes to looking chic but still keeping yourself comfortable for that night of feasting. I love wearing these because it easily adds an edge to your outfit but my tummy still has room to breathe after a huge meal - you're definitely gonna need that this Christmas! I got this jumpsuit from Primark this summer and I love the fit on me, especially since I am petite and it doesn't make me look too short. 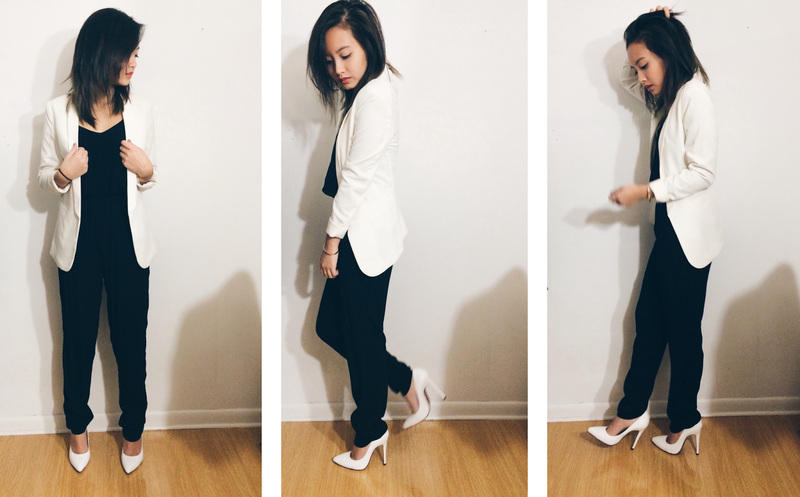 To jazz it up a bit, I added my H&M blazer to give it a more formal and classy look along with these heels I purchased from eBay. If this is too black and white for your taste, add a bold red lip and some sharp as a knife eyeliner look and you're good to go.